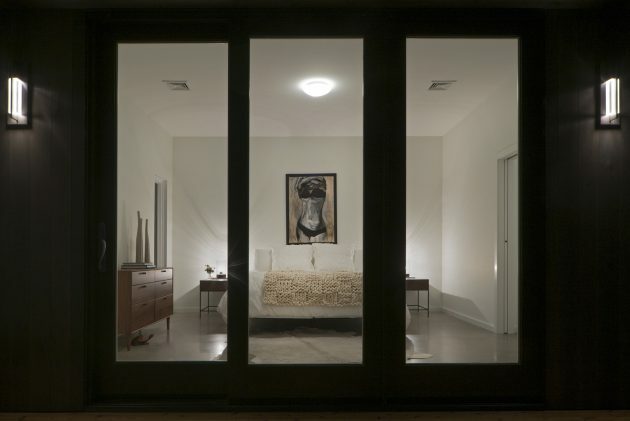 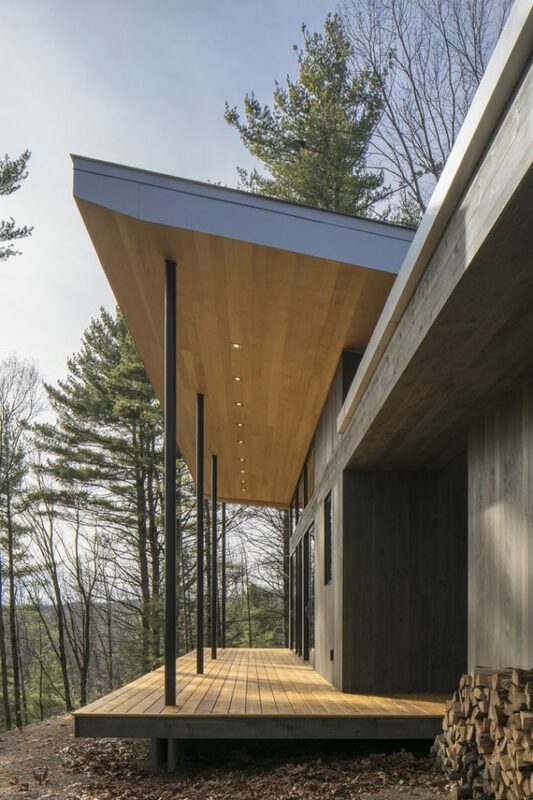 The Lantern Ridge House is a project by the New York based Studio MM. 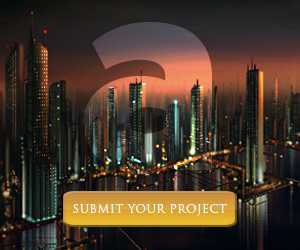 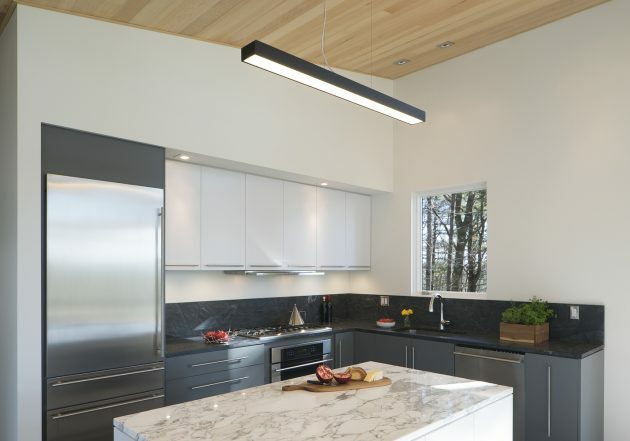 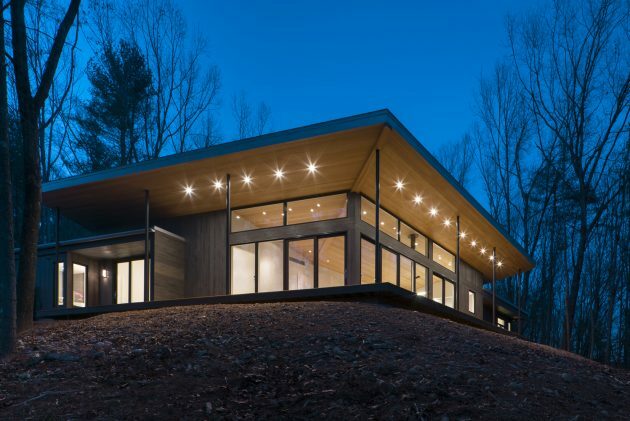 It is located in a serene, forested location in the Hudson valley, more precisely in Kerhonkson, New York. 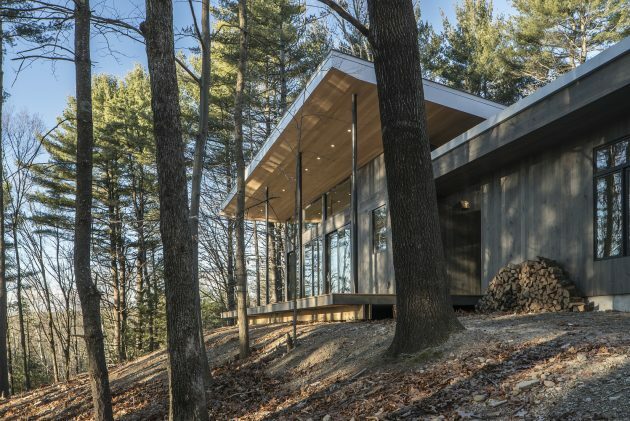 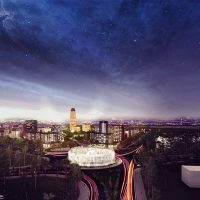 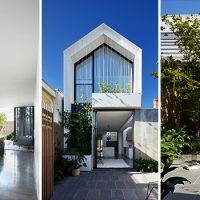 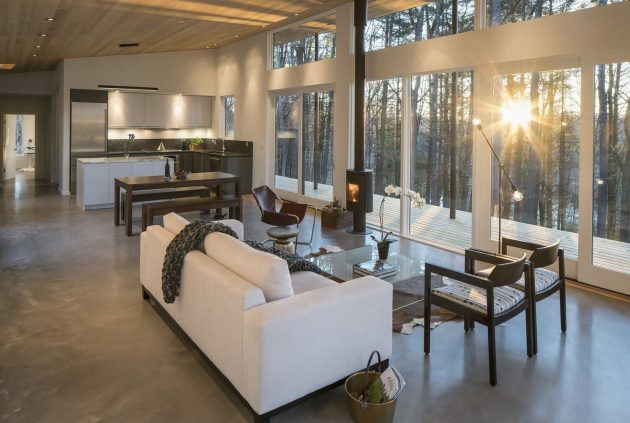 This unique, contemporary home spans across 2,200 square feet and offers both intimacy and expansiveness to its residents. 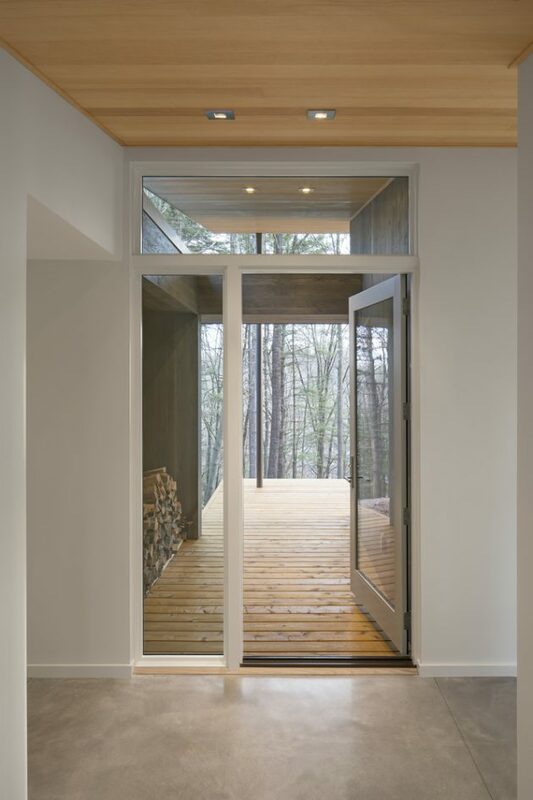 It is private enough to bring peace of mind but also public enough to keep things interesting. 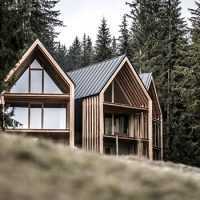 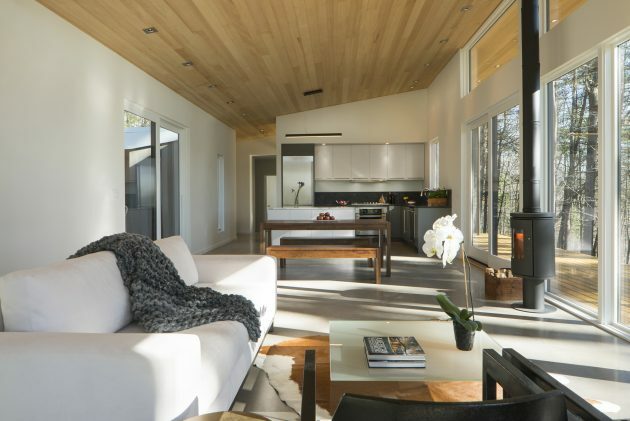 The home is cooled down by the refreshing breeze that makes its way inside through strategically placed windows and doors, while the heating is through an efficient wood stove. 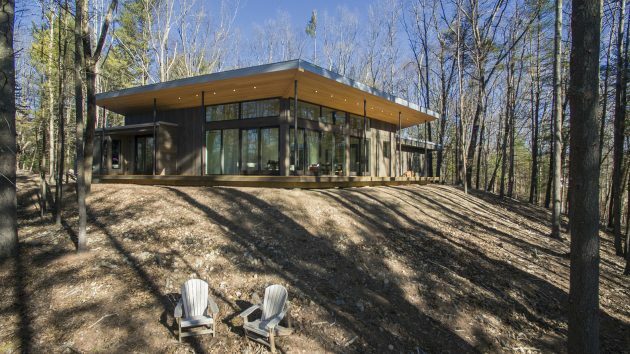 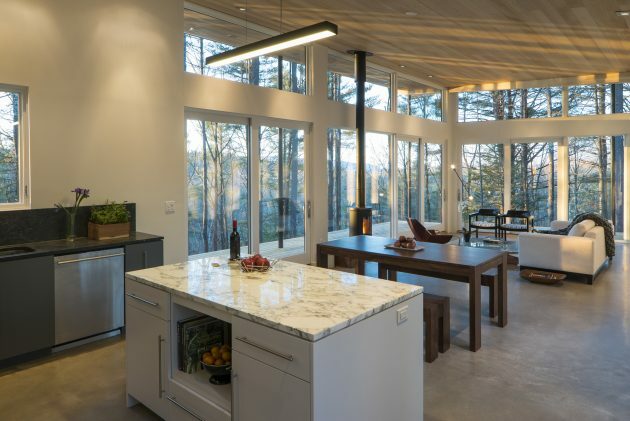 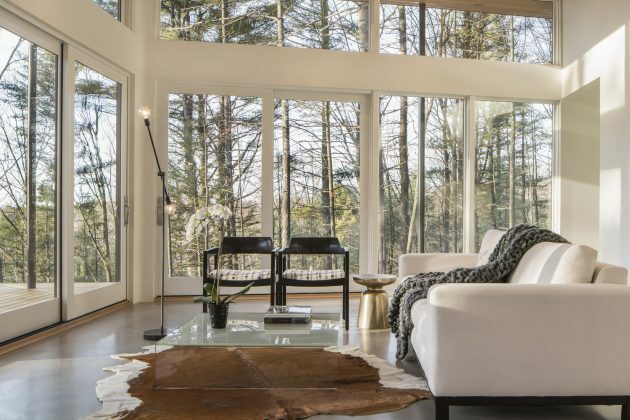 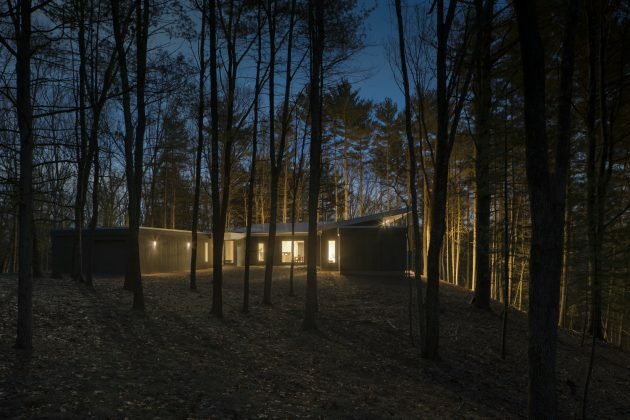 Perched at the top of a wooded knoll in the Hudson Valley, the Lantern Ridge House accentuates mountain views while camouflaging itself in the densely forested environment. 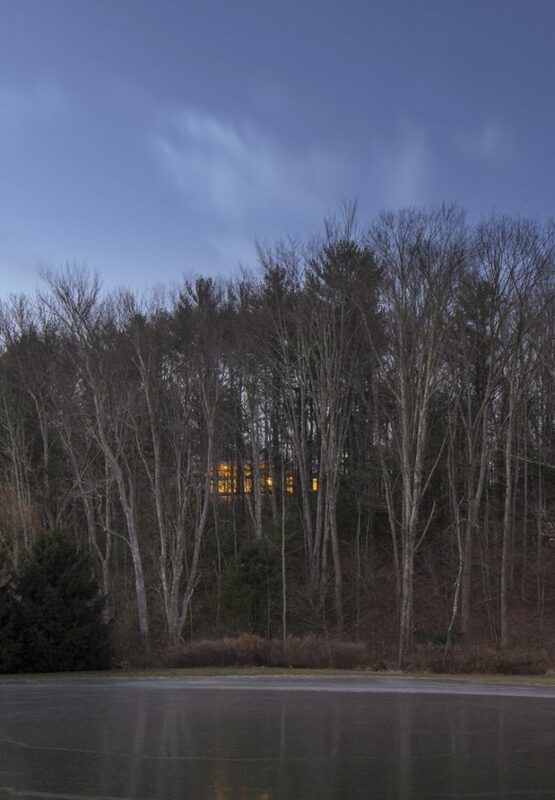 At night, the typically obscured house becomes a beacon for passing cars and a guiding light for our homeward-bound clients. 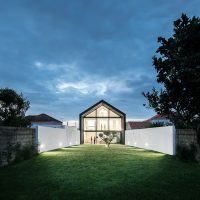 The home is focused on a single gathering space through which the 2,200 SF structure becomes at once intimate and expansive, private and public. 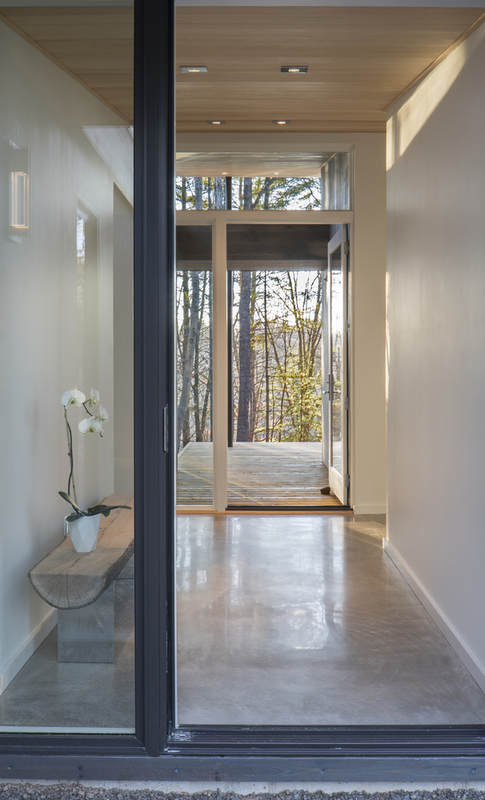 Oriented to face both sunrise and sunset, this hinge point is created by the convergence of two private wings that contain separated accommodations for our clients and their guests. 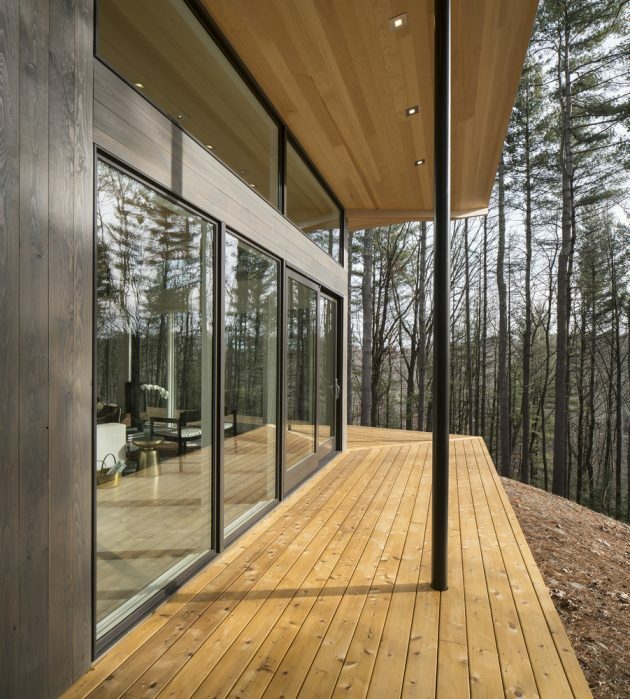 A continuous wood ceiling shelters an exterior deck and the glass façade, which focuses expansive views, connects the clients with the immediate natural environment, and provides a consistently sunlit space. 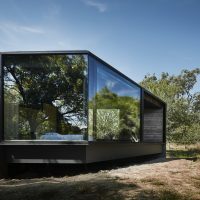 The primary goal of the project was to create a home that responds to and enhances its natural surroundings while catering to the flexible needs of a client that craves both private reflection and social engagement.